When Inez Jasper lets loose on stage you can’t help but see she has the pipes, the moves and the drive to become a genuine superstar. It’s a dream of hers, she says, one she hopes make a reality with her new album, "Burn Me Down”, released in August 2013. 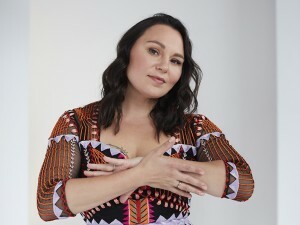 The 2009 release of her first solo album, "Singsoulgirl” garnered a lot of attention, noteably taking home four Aboriginal People’s Choice Awards for Best Album Cover, Best New Artist, Best Pop Album, and Single of the Year. Later the album was also nominated for a Western Canadian Music Award and a Juno. Inez has performed for the live broadcast of the 2009 & 2010 Aboriginal People’s Choice awards, 2010 & 2012 Aboriginal Day Live! , and 2012 Indspire Awards. 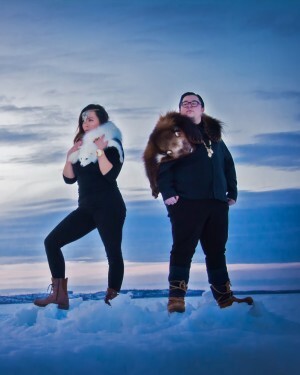 She has been featured on CBC Radio, Winnipeg’s "Streetz FM” and has hosted the television show, "First Tracks” on APTN for 3 consecutive years. But though you may be tempted at first listen to attach the prefix ‘Pop star’ to Jasper’s name there’s far more to her than that. She’s also a registered nurse, mother of 2 and a nationally recognized role model; as dedicated to realizing her own dreams as she is to inspiring others to reach for theirs. An artist whose ability to interpret the music she sings through the lens of her own life and experience is compelling in an industry filled with manufactured pop stars.